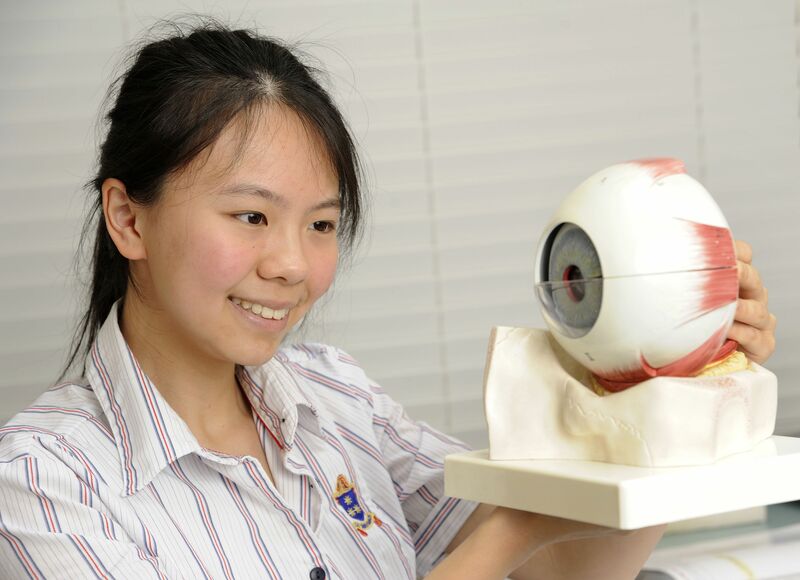 An Auckland student’s curiosity about the possible link between mental concentration and the early onset of short sightedness has been rewarded with 17-year-old Nuan-Ting (Nina) Huang winning the 2011 Prime Minister’s Future Scientist Prize. Nina’s research investigated how the pupil size of students’ eyes changed when they carried out tasks requiring different levels of concentration, from solving mathematics equations to reading simple sentences. A group of 46 Year Seven students were photographed and their pupil size was measured while they worked, at near and far distances. Solving maths problems, orally and on paper, led to pupil size decreasing, which Nina concludes is due to mental concentration inhibiting the contraction of the dilator muscles in the eye. In addition, the eye increases its optical power to focus on the task. “Short sightedness (myopia) is such a common problem. If we can isolate external reasons for its onset in youngsters, such as prolonged periods of concentration, it may help other researchers treat the condition by identifying other causes, such as genetics, environmental conditions and signalling pathways to the brain,” says Nina. 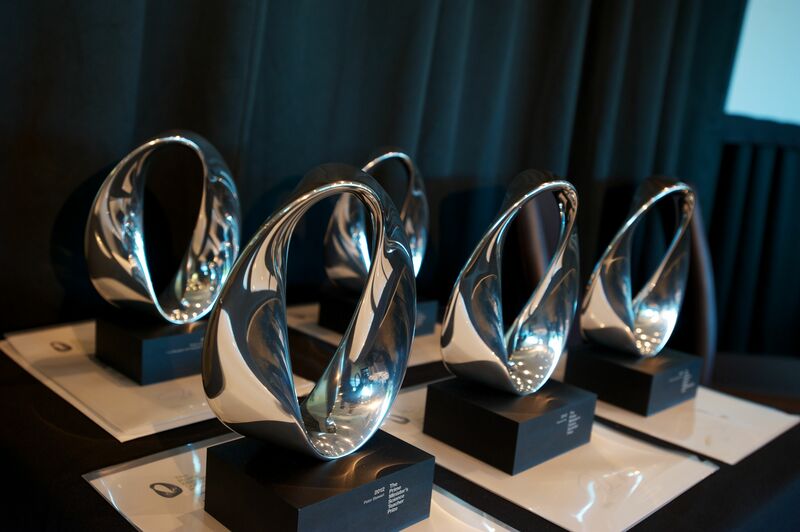 The Future Scientist Prize gives the Year 13 student at Auckland’s Diocesan School for Girls a $50,000 scholarship to assist with tertiary studies. Nina began her project as part of an International Baccalaureate Diploma. The research has also won Nina the Genesis Energy Supreme Award in the Royal Society’s 2011 Realise the Dream Competition, providing her a $7,000 cash scholarship and an all expenses paid trip to the European Union Young Scientist Competition in Slovakia in September 2012. Nina says vision is an increasingly popular field of international research and her fascination with eyes started in a neurobiology class. She was also inspired by a presentation on cataract research by a former Diocesan student, Dr Julia Lim, from the University of Auckland’s Department of Optometry and Vision Science. Dr John Phillips, Principal Investigator at the University’s Myopia Laboratory, also helped Nina with her research. “It is very important that research into myopia continues because there is a high prevalence of the condition among many of New Zealand’s high achieving students. The overall prevalence in New Zealand is not known but if it is as high as 20 percent of the population, which it is in Australia, that equates to a lot of children wearing glasses for the rest of their lives. “I was very impressed by the speed at which Nina grasped the subject, her willingness to take on responsibility, her independence and self motivation,” says Dr Phillips. Nina hopes to study biomedicine at the University of Auckland next year. Diocesan Principal Heather McRae says Nina’s commitment to excellence, combined with a desire to learn more about whatever subject she is studying, results in her high achievement. “Nina models the high expectations we set for all our students at Diocesan and she has benefited from working among like-minded girls. “She is motivated, outgoing and has a lovely personality. Her diligence and determination to learn, along with her resilience, will carry her through university,” says Ms McRae. 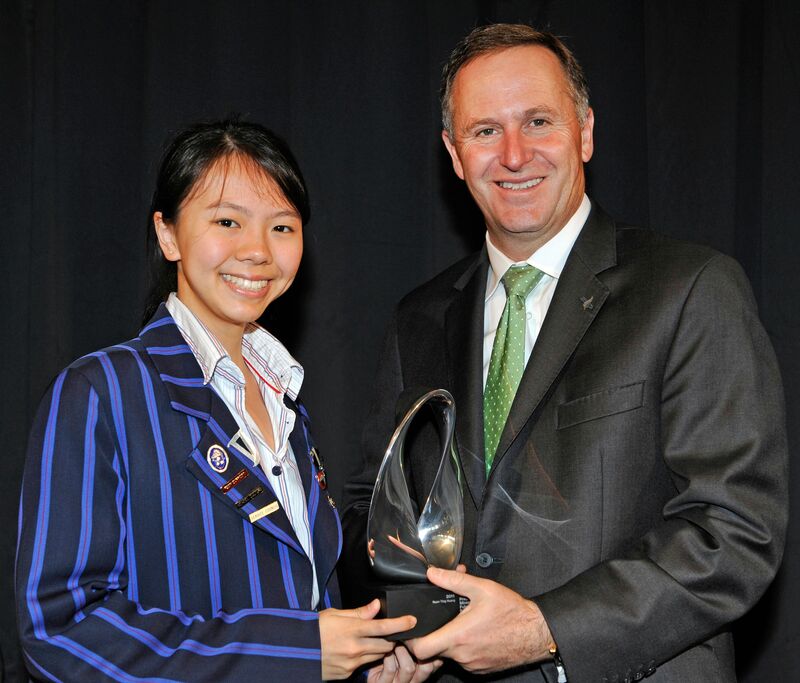 Nina, who came to New Zealand from Taiwan as a two-year-old, has won academic prizes in each of her secondary school years, speaks four languages, including Japanese, is just one level short of a Taekwondo black belt and has played the piano since she was four.